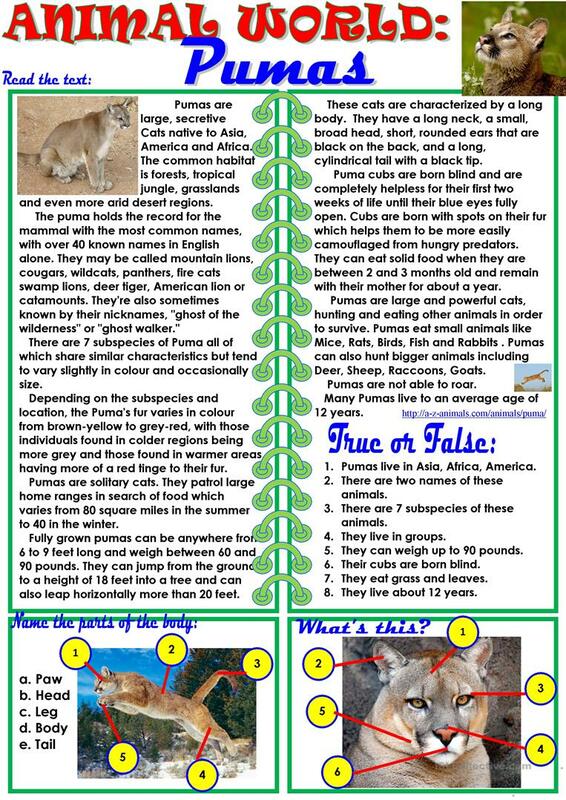 This ws includes the text about pumas and three exercises to it. To summerise the information you can make up short stories. Keys are included. Hope it can be useful. Thank you!!! This downloadable printable was created for high school students, elementary school students and adults at Elementary (A1), Pre-intermediate (A2), Intermediate (B1) and Upper-intermediate (B2) level. It is useful for strengthening your pupils' Speaking and Reading skills. It is about the vocabulary topic of Animals. You will find the key at the end of the worksheet.